At MNB Precision, we provide high-quality Precision Engineering Service CNC Turning with the operation of an impressive range of state of the art Turning Lathes. 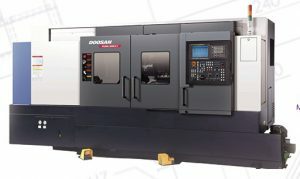 With these lathes, we are able to provide both capability and capacity to many industry leaders. In response to market demand, we are continuously investing in new machines, both to expand our capability and increase our capacity. 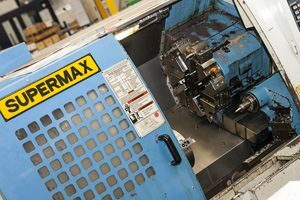 Our continuous investment into specialist machines provides us with a wider scope of opportunities, enables us to provide our services to a broader scope of clientele and enables us to develop quicker lead times. The use of a wide range of anti-vibration boring bars which can be employed with lathes to bore holes of diameters varying from 16mm to 120mm, and reaching depths up to 1.3m. Using these we can achieve tight limits (typically holding 0.025mm limit) and good surface finishes within the finished bore. The capability to roller burnish bores up to a depth of 3 metres. The ability to machine component lengths up to approximately 6 metres. The maximum distance between centres is usually 4 metres but by using hollow spindles we are able to machine component lengths beyond this. 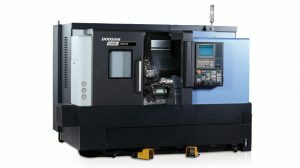 CNC Turning is a detailed method of creating custom parts using a lathe which is one of the oldest running CNC Machining tools with the method dating back to ancient Egypt. With modern technology, CNC Turning has become more precise. This process is able to secure and rotate material with dual axis moving at high speeds to ensure a fast turnaround. The lathe is controlled by a computer program, hence the name – Computer Numerical Control. Check out our article on What is CNC Turning? to find out more information about the history of the process and how we can help your company. For more information on CNC Turning or any of our other Precision Engineering Services such CNC Milling, please contact us or call 02476 695959.